On this day the Battalion arrives in Lemnos, their ship one among many, all with the same dreadful purpose. Jack Reilly, in his usual dry manner, describes his arrival: Arrived at Lemnos Island where we remain awaiting orders. Greeks came alongside selling fruit which was very acceptable. After 8 days on "iron rations" the fresh fruit would have been a nice change. With similar dry understatement, the War Diary entry for the day says: Arrived Mudros Harbour, Island of Lemnos. Practised embarking and disembarking from boats. The Battalion History records: On the following day (12 April, ed.) we arrived at Lemnos. Here we first saw the super dreadnought Queen Elizabeth, afterwards to be affectionately known as "Lizzie". 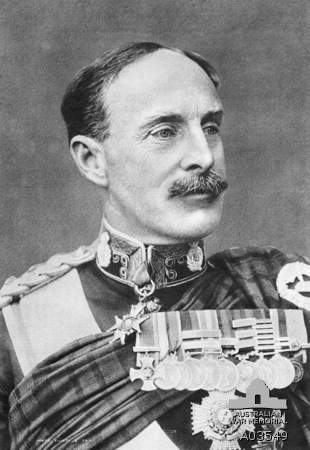 In his Official History, Charles Bean writes (Chapter XI The Gaba Tepe Plan), "On April 12th the Atlantic Transport Minnewaska, with the commanders and staffs of the A & NZ Army Corps and of the Australian Division, and with the men and officers of the 1st Australian Infantry Battalion, took her place in a small procession and was guided by a sloop up a narrow channel and through a gate in a line of buoys into the wide harbour of Lemnos. The men, raw from the desert, looked over the rail at the bare hills covered with scanty grass. 'I'm going to take up land here after the war,' laughed one of them, as the great harbour opened up. Ahead was the Queen Elizabeth, with her eight huge guns in two compact pairs at either end of the ship; near her the Agamemnon, with a bundle of upper works hunched above her low hull like a soldier's pack. Beyond them were other warships, about twenty transports of all sizes and some ten supply ships. Small trawlers, French and British, made their way through the fleet on their various business........In one stately grey liner, the Royal Mail steamer Arcadian, were Sir Ian Hamilton and the General Staff of the Mediterranean Expeditionary Force. The General Headquarters of the whole expedition was known even in those days by its initials - GHQ. As time went on it was seldom called by any other name.